It’s been about two years since my last test run with the Ghost blogging software, and though the initial Ghost release was promising their biggest sales pitch from the Kickstarter campaign was missing. 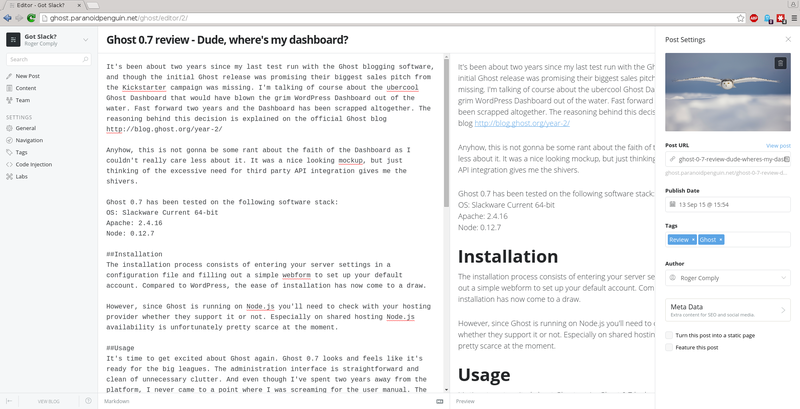 I’m talking of course about the ubercool Ghost Dashboard that would have blown the grim WordPress Dashboard out of the water. Fast forward two years and the Dashboard has been scrapped altogether. The reasoning behind this decision is explained on the official Ghost blog. Anyhow, this is not gonna be some rant about the faith of the Dashboard as I couldn’t really care less about it. It was a nice looking mockup, but just thinking of the excessive need for third party API integration gives me the shivers. The installation process consists of entering your server settings in a configuration file and filling out a simple webform to set up your default account. 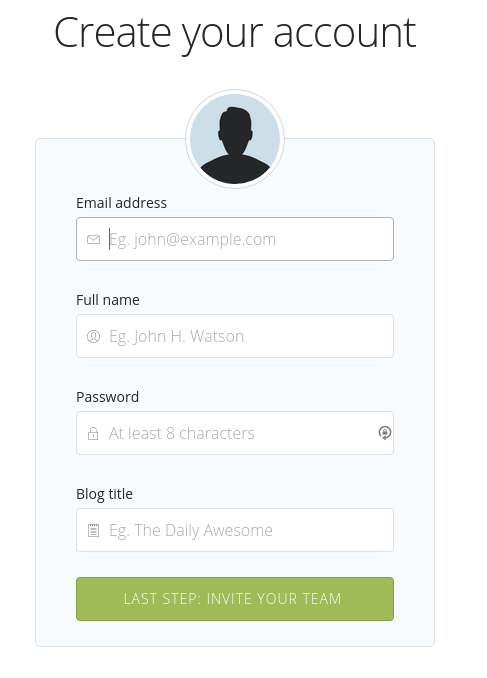 Compared to WordPress, the ease of installation has now come to a draw. However, since Ghost is running on Node.js you’ll need to check with your hosting provider whether they support it or not. Especially on shared hosting Node.js availability is unfortunately pretty scarce at the moment. It’s time to get excited about Ghost again. 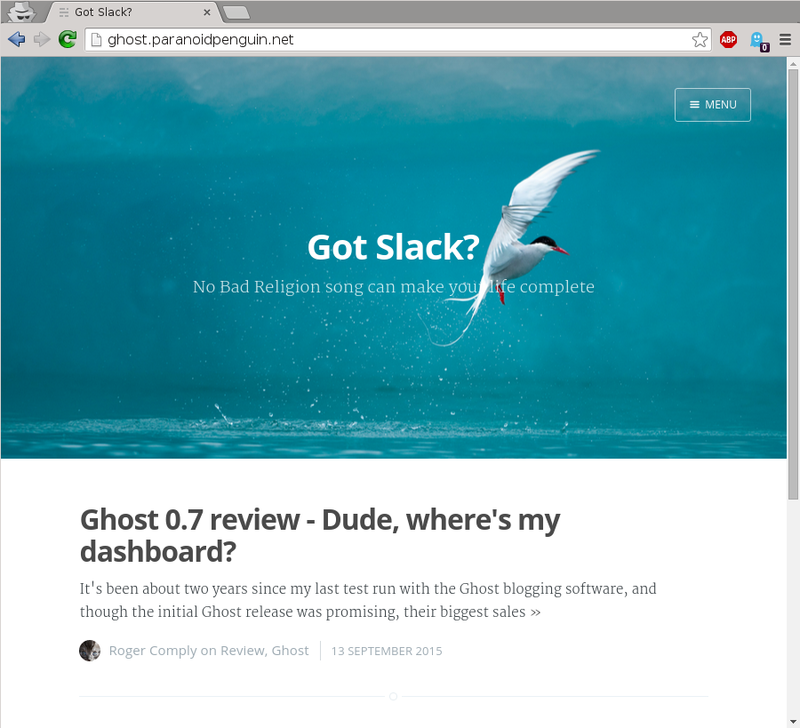 Ghost 0.7 looks and feels like it’s ready for the big leagues. The administration interface is straightforward and clean from unnecessary clutter. And even though I’ve spent two years away from the platform, I never came to a point where I was screaming for the user manual. The writing process is as simple as ever using the markdown editor, a pleasant way of writing unlike the mess that is traditional WYSIWYG editors. How does it measure to WordPress? Well let me put it this way. With WordPress I always write the original article using Libre Office before moving on to battle the WordPress editor every step of the way until the post is finally published. So long WordPress and thanks for all the fish? I’m definitely back on the Ghost train but leaving WordPress will take some time and effort. Most importantly I’d want to preserve my site structure and permalinks, and not spend an eternity on migrating content between the two platforms. Since I’m hosting my blog on a Raspberry Pi 2, I also need to evaluate performance and reliability of Node.js running behind an Apache server on a RPi2 before relaunching.